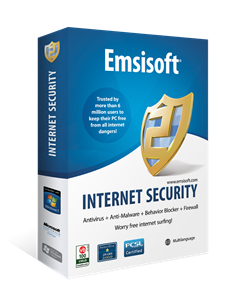 Emsisoft Antimalware (EAM), one of the very reputed and powerful antimalware software has upgraded to version 8 with new & improved features and a number of minor and major performance tweaks. Existing users of EAM will receive the version update through the normal update schedule or may download the software from its homepage and can use the new version at no additional cost. Since version 7, EAM has switched to Bitdefender engine from Ikarus engine. It also has its in-house signature and signature optimizations. Switching to Bitdefender was a good idea, because it not only offers slightly better detection but also great improvements over false positive detections. The major improvement in Emsisoft Antimalware 8 is related to faster malware signature download and its optimization. In version 8, the signature database has been cleaned up and reorganized to reduce update traffic and memory usage by nearly 80 MB. It now offers faster download of malware signatures due to three factors. Firstly, it now uses over 30 data processing centres all around the globe, so you can get faster update download from update servers closer to your area. Secondly, it now uses an optimized update routine where the average processing time has been reduced from up to 20 seconds to under 3 seconds. Finally, it now offers simultaneous update connections to provide faster signature download within the limits of available local bandwidth. You can increase simultaneous connections upto 10, with the default value being set at 4. Apart, from this change it also offers numerous important stability and compatibility fixes. This entry was posted in Antimalware, News, Security Related, Software, Windows.